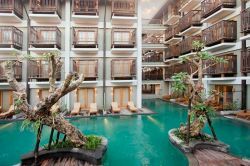 Located in the lovely area of Sanur, The Oasis Lagoon Sanur enjoys a commanding position in the culture, sports, and shopping hub of Bali. With its location just five kilometers from the city center and 30km from the airport, this 4-star hotel attracts numerous travelers each year. With the city's main attractions such as Consulate of German, The Village - Cucina Italiana, and the Consulate of France within close reach, visitors to the hotel will just love its location. Every effort is made to make guests feel comfortable. To do so, the hotel provides the best in services and amenities. To name a few, there are safety deposit boxes, a bar, a concierge, valet parking, and a family room. Hotel accommodations have been carefully appointed to the highest degree of comfort and convenience with a shower, coffee/tea maker, air conditioning, complimentary bottled water, and work desk in each room. The hotel offers fantastic facilities which include an outdoor pool and garden to help you unwind after an action-packed day in the city. 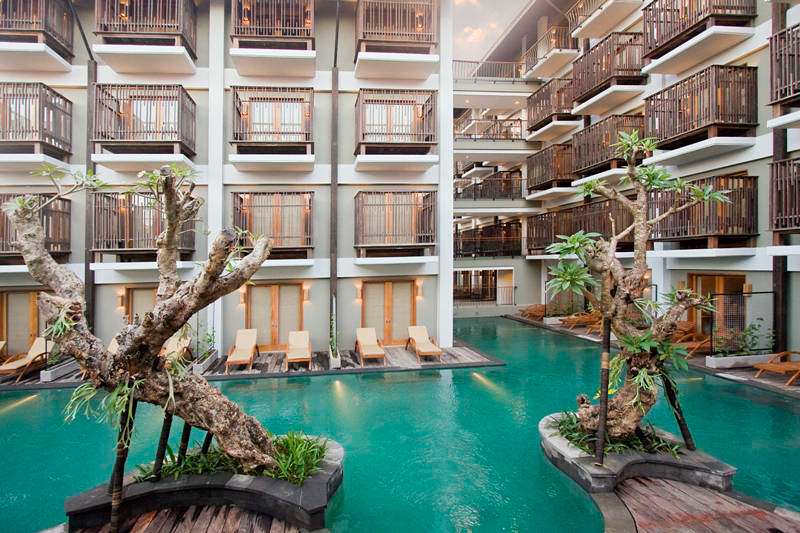 When you are looking for comfortable and convenient accommodations in Bali, make The Oasis Lagoon Sanur your home away from home.